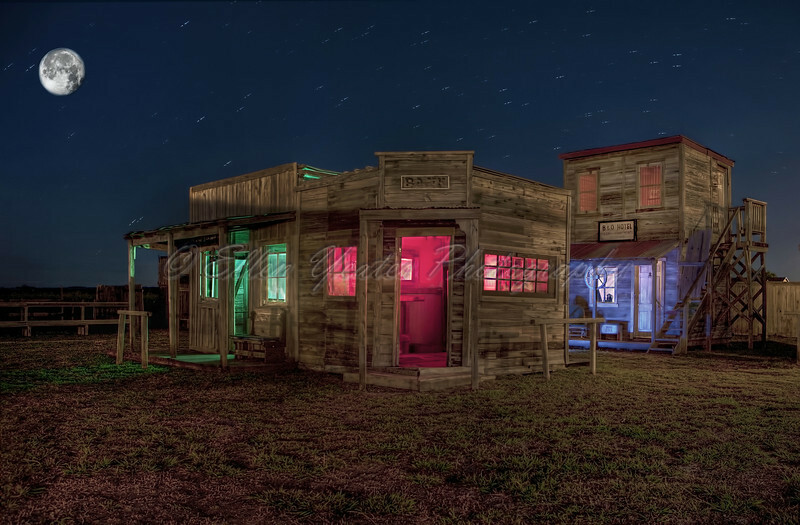 This J.LORRAINE ghost town is located in Manor, TX. It is about 12 miles away from Austin. They hold weddings, party, rent barn, movie night, etc all the time. They serve beer, soda, hamburger, hot dog, and etc..
AEB +/-1 total of 5 exposures processed with Photomatix. Viveza 2, added moon, topaz denoise and tweaked in Photoshop. this deserves a real life gallery, awesome piece! Nice work! I love the mood of the shot! It's number one!